Walking into the wild, we shed unintentional living. Time expands in the wilderness. Immersed in the wild, our senses fill the emptiness of unintentional living with the fullness of being alive. Attention is vitality. It connects you with others. Setting out we notice the dull prick of grit in our hiking shoe. Some time later, we notice the smell of rain quenching arid rock. In time we turn our attention to light, wind, water, stone, plants, and other animals. Many of the paths we walk are ancient routes. 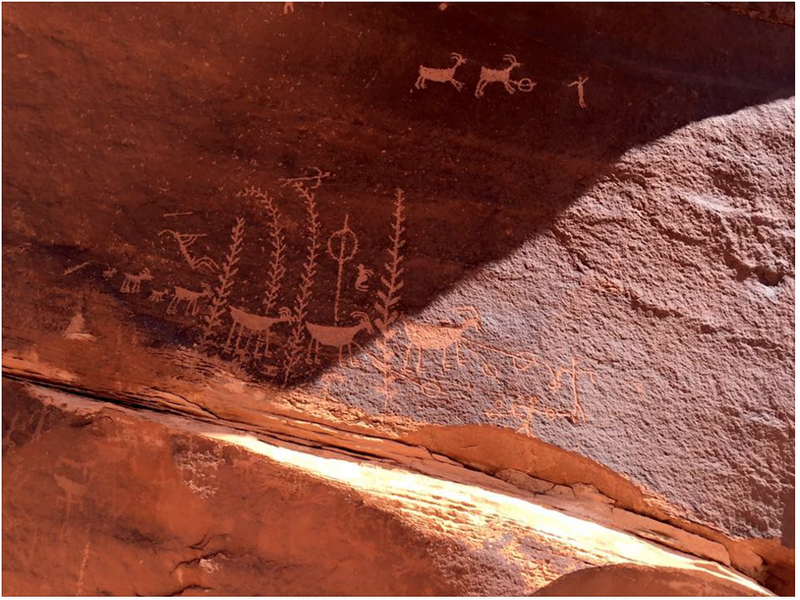 Ancestral cultures and animals navigated these routes before we arrived. Bipedals, quadrupedals and centipedes alike, these routes are well-trodden. Descendants follow after our departure. In Native American tradition, how one walks is a metaphor for how one conducts one's life. 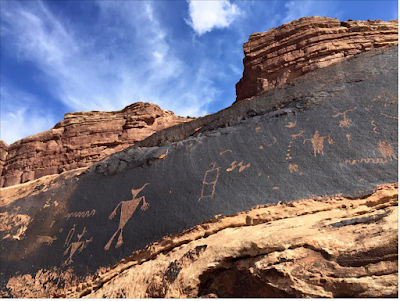 Anasazi is a Navajo word meaning ancient ones or wise teachers. Anasazi nomads, or Ancestral Puebloans, arrived in the Four Corners region around A.D. 200. We know little of these people except that they made baskets woven from fronds of willow. Much of our conduct and most of our actions are ephemeral. A few remain. Our remains become artifacts. The Seven Paths: Changing One's Way of Walking in the World, by Anasazi Foundation, 6 August 2013.